Experience the Difference. Background Checks & Drug Screening Solutions You Can Depend On.  At CoreScreening, our primary focus is on complete background investigation accuracy paired with low costs and the highest levels of service not just for our valued clients but also the individual applicants. With over a decade of industry expertise, we have reinvented the background screening experience through the successful development of simple user interfaces coupled with fully integrated partnerships. The result is a technologically advanced system that provides our clients with the fastest, most comprehensive results in the industry. We are passionate about community and assisting organizations, institutions as well as individuals on their quest to success. We are a committed, service oriented team that are experts in our field and take service to the next level by taking the time to truly understand your unique business model. We don’t believe that one size fits all, so we carefully listen to your current pain points and then create strategic solutions that are custom tailored to save you both time and money without sacrificing quality. Think of us as the community bank or the modern boutique hotel around the corner that is dedicated to being different and remaining true to our COREValues. Lastly, in our commitment to service first, we have no sales quotas to fill. Our team members are excited to come to work each day to provide solutions that fit our client’s needs. No Sales Quotas. We are committed to providing excellence in service with no ulterior motives. We simply do what we love and love what we do. We will always be honest with you. Assigned team support. Forget call queues and unreasonable wait times. You will have an expert team assigned to your account that will not just speak with you one on one, they will also be the same team responsible for processing your orders.